Politics and sound reasoning has time and again over history proven itself to be quite the oxymoron when used in the same sentence. No more so than now with Trump being elected in as the next US President. 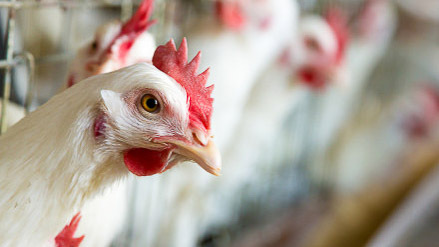 However, this story isn’t about Trump, rather, it is a retrospect on politics and its downstream impacts on society which brings us to the Chicken tax. Fifty-three years ago, with political tensions rising at the height of the Cold War, United States imposed a 25 per cent tariff on imported brandy, dextrin, potato starch and small pickups in retaliation to tariffs on imported American chicken imposed by countries like France and Germany. Well, the Cold War is over, and 53 years after the tariff was imposed brandy, dextrin and potato starch no longer have a 25% tariff. However, light trucks did not didn’t get off easy. The tariff remains in place today to protect U.S. domestic automakers from foreign competition. Many automakers take to the Concours d’Elegance to debut the best of what their company has in mind for future vehicles. 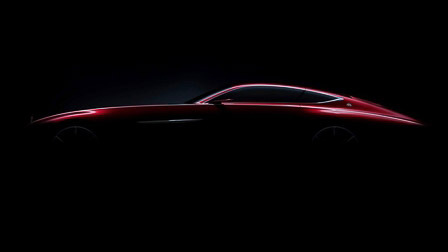 Mercedes recently leaked an image that showed no more than a simple silhouette of a vehicle which looks to be in the shape of a coupe. What we all have to look forward to is that this is likely the beginning of a Maybach coupe coming down the production line in the future for the automaker. Now with anything Maybach, you can expect the luxury touches will be over the top. And judging by the profile shot of the teaser picture, the coupe is going to exude class from front to back with long sweeping lines. To just give a reference to the car’s size, the coupe will measure in at a hefty 230 inches which dwarfs even the S600 Mercedes Maybach sedan at 215 inches. At this point, we only know that the coupe is a concept car and there is no details as to when it will make it into production. 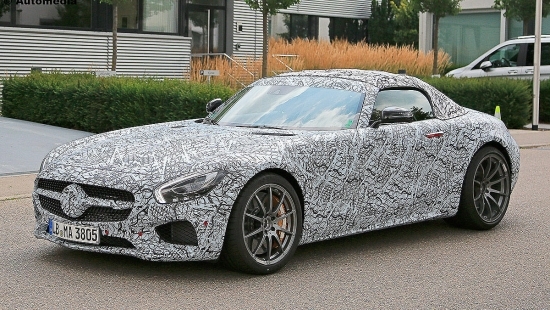 Mercedes has been busy at work making various iterations of their AMG GT and their latest looks like it’ll be a roadster likely to be called the AMG GT C. The car is shown doing testing in some light camo gear which shows off most of the vehicle and doesn’t leave a lot to be imagined. Wherever it slots in the GT lineup it will surely be another great creation by the folks over at AMG. Being that the AMG GT lineup is a performance oriented vehicle, seeing what Mercedes does with managing structural rigidity and keeping the car as light weight as possible will be interesting. One thing to note is that a soft top is shown in these spy shots which already helps with the weight factor. But that doesn’t help with maintaining chassis stiffness for handling. If all goes according to plan at Mercedes, we might see the AMG GT C debut this year at the L.A. Auto Show. One of the more iconic cars produced by Mercedes is their G-Class. Since the SUV was designed and put on the production line, little has changed in terms of the exterior of the vehicle. Now Mercedes has made significant updates to the interior as well as to the performance side of things with the G Wagen, but they have gone to great lengths to keep the exterior just as they originally intended. So when the newest iteration was caught in camo doing some road testing, it was to great pleasure to see that Mercedes once again didn’t mess with something good and stayed true to their roots. 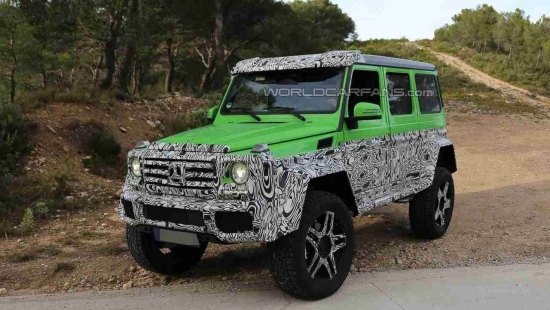 The new G-Wagen looks to keep its boxy styling albeit it gained a bit of width both front and rear. This should open up the interior cabin a bit for occupants, but all other updates seem to be minimal. What you don’t see from the surface is a significant weight savings in the new car. At a nearly 900lb diet, that’s very respectable seeing as the car actually got wider. The wider track will definitely make the car handle a little bit better, especially is you opt for the AMG version which stuffs a 4.0 liter V8 under the hood. 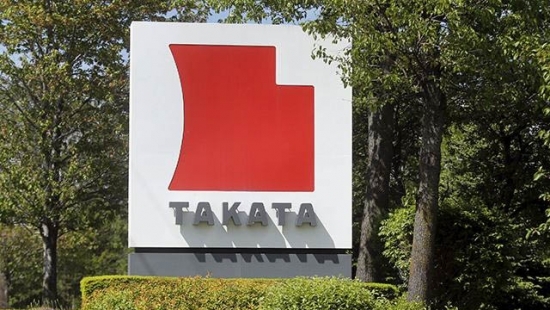 Although it’s not illegal to do so, it probably doesn’t create a lot of customer confidence when news is coming out that both Mercedes and Ferrari are still selling vehicles equipped with faulty Takata airbag inflators. These two companies are not the extent of the issue. According to Bill Nelson, Florida Senator, seven out of 17 automakers have already admitted to doing the same thing. The issue with the faulty airbag inflators manifests itself when the vehicle is sold and remains in areas where the climate is hot and high humidity. According the NHTSA, cars sold today with faulty airbag inflators will officially be included in the defective list come 2018. Currently, cars in the limelight for being sold with faulty inflators include the 2016-2017 Mercedes-Benz E-Class coupe and convertible, 2016 Mercedes-Benz Sprinter, and almost every Ferrari on sale today which includes the FF, California T, 488 GTB and 488 Spider, F12 and F12tdf, and GTC4Lusso. 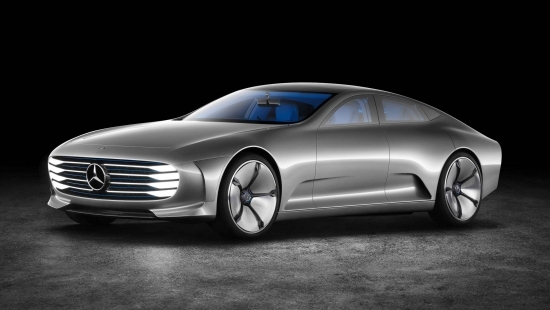 Mercedes is planning an all new concept vehicle that will put it’s sights directly on the Tesla S. Competition for the Tesla is limited as not many automakers have ventured into the high end luxury EV space. Mercedes’ new concept is nearing it’s debut and it is rumored that the car will be similar size and stature to the Tesla as well as being an all wheel drive vehicle. 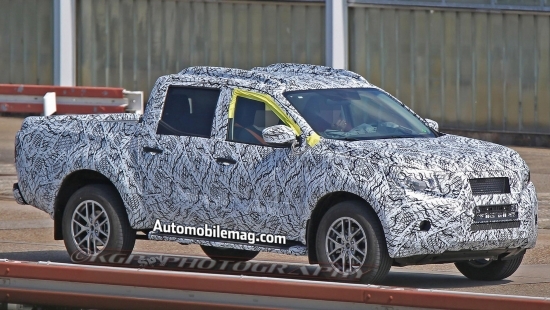 Mercedes’ GLT truck has been spied doing some testing and getting closer to it’s official debut in 2017. The vehicle was able to be brought to market thanks to a sharing of development costs and parts with Nissan. The GLT is built on the underpinnings of a Nissan Navara truck which greatly helped Mercedes with development and production costs. Much of the exterior is different from Nissan’s version, and it’s highly expected that the interior will be designed up to the luxury standards of Mercedes. Similar to the G Wagon, the GLT will be a workhorse vehicle without the sacrifice of the finer luxuries of life. 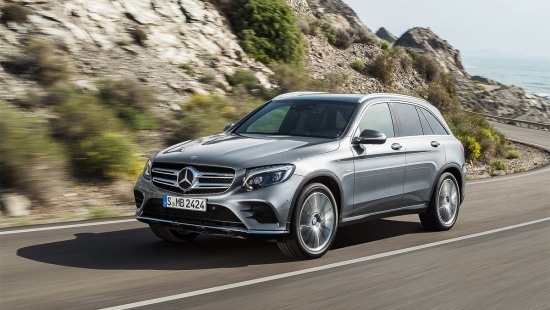 Currently Mercedes targets the GLT for Europe, Australia, South Africa and Latin America. There is word that they might consider selling the truck in the US, but nothing official has been stated as of yet. With the official debut of Mercedes’ AMG GT R at the Goodwood Festival of Speed, it’s brought out the curiosity in consumers who are now awaiting Mercedes to release the prices of the vehicle. The AMG GT lineup will now be made up of the GT, the all new GT R and the GT S. The entry into Mercedes’ AMG GT cars will set you back $112,000 US while the GT S will start at $130.925US. 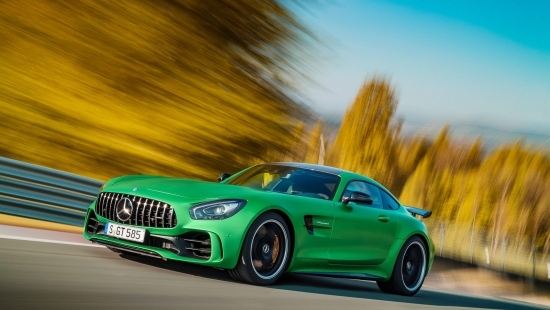 It should be expected that the AMG GT R will priced above both. While the GT and the GT S will use Mercedes’ 4.0L V8 which pumps out 456hp and 443lb/ft of torque, the GT R’s engine is rated at 577hp and 516lb/ft of torque. The GT R will also utilize an upgraded suspension and will be a wider vehicle than the other two GT cars. Mercedes’ AMG GT R will officially sell as a 2018 model. 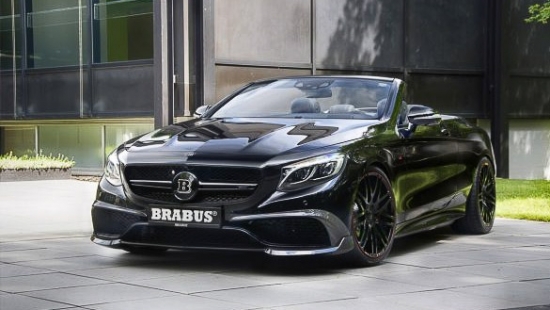 Brabus’ most recent creation started as a standard AMG S63 Cabriolet. Now that statement alone should tell you that exciting things are to follow as a standard AMG S63 is already a 577hp monster that’s capable of 0-100km/h sprints in 3.8 seconds. What you see here now is a fully massaged version from the handy folks over at Brabus who have taken a tame beast and unleashed her inner demons. Brabus is calling this car the 850 6.0 Biturbo Cabrio. The engine has been bored out from 5.5L to 6.0L, and a host of goodies fitted in such as a new crankshaft, forged pistons, connecting rods, cylinder heads, intake module, exhaust system, and turbochargers which bump the final power numbers from 577hp to 838hp. The 850 6.0 Biturbo Cabrio now does a standing sprint to 100km/h in 3.5 seconds and reaches a top speed of 217mph. This gives the Brabus the bragging rights of being the fastest convertible on the road. Bragging rights aside, this Brabus car is not only for the performance oriented, it is also for those who like to have something a little more unique to look at on the road. Thanks to a fully custom carbon fiber aero kit, 21 inch lightweight wheels, and a fully bespoke interior, Brabus has that checked off the list as well. Mercedes will be producing a plug in fuel cell GLC for those who are conscious of their carbon foot print. The vehicle will utilize an all electric motor and a hydrogen fuel cell which together provides a combined range of approximately 500km. But being green doesn’t come cheap. The GLC plug in hybrid is rumored to start at around $76,000 US. That’s not just a bit over the conventional gas powered GLC, this is a whopping 50% higher price tag. Production and sales of the GLC will start sometime next year.